(TibetanReview.net, Mar16’19) – In yet another report about further clampdown on Tibetans during the politically sensitive month of March, Chinese authorities in Rebgong (Chinese: Malho) County of Qinghai Province have further tightened restrictions on local Tibetans, reported the Tibetan Service of rfa.org Mar 14. These were stated to include ban on performing or panhandling on the streets and close monitoring of visitors from other places. Surveillance and security at Riwo Gonchen monastery was tightened from Mar 5. Besides, “the authorities have removed all beggars from the streets and surveillance has been strengthened on hotel guests in Rebgong,” ahead of the Mar 10, 1959 uprising and Mar 14, 2008 large-scale protests, the report quoted a local source as saying. Any gathering of more than five people is not allowed. Tibetans from India on visit to see family members and friends have reportedly been summoned multiple times by the local police and interrogated. Chinese officials were reported to be visiting homes of Tibetans whose children were studying abroad and warning them “not to mislead” the students while communicating with them for their own good. 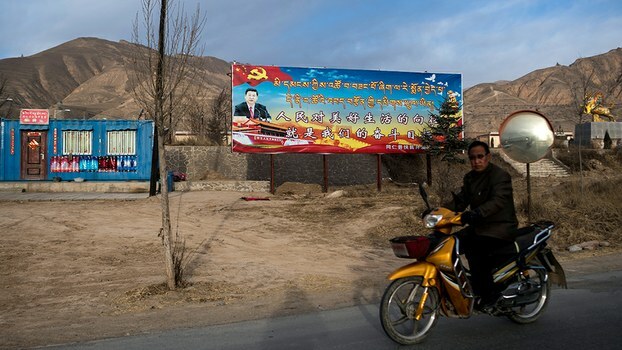 Besides, Tibetans from across Qinghai are said to be banned from travelling to Lhasa for pilgrimage during this month.